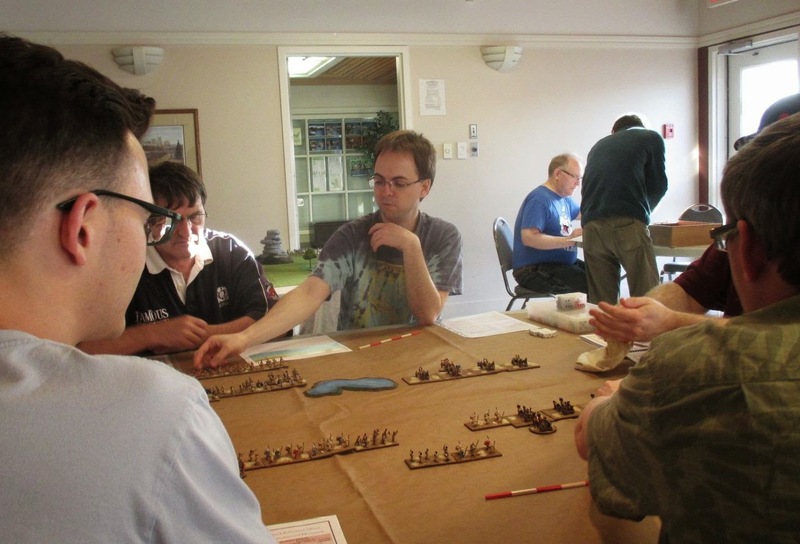 We had 13 or 14 guys out to the club last night with five games going, including some sort of sand-in-your-loincloth dealie Scott was running, some medievals, some DBA and some Warmachine. Wiley and played a game of Star Wars: Armada against the rebel scum... errr... Neal and Dan. 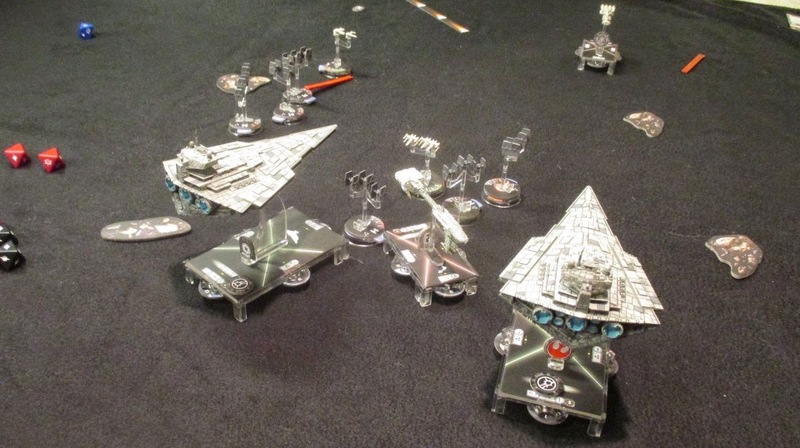 This was my our first time out with the game so we kept the Imperial ships together but likely over-extended our fighter cover. 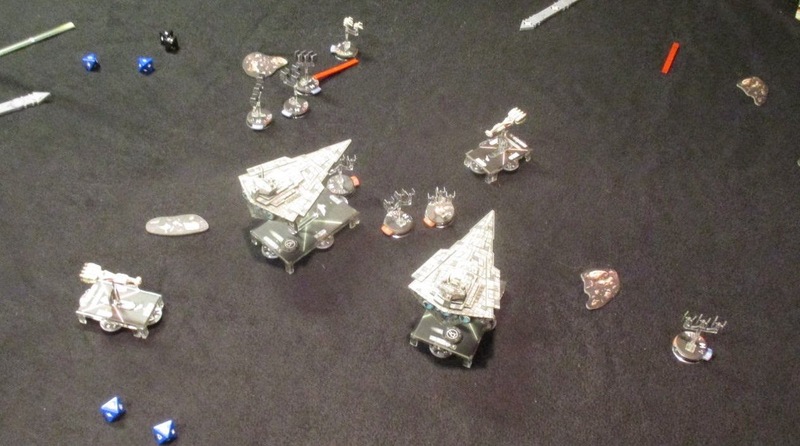 Eventually the two Star Destroyers contacted the two Nebulon B frigates. My ship (on the right) took a pounding (including some damage from ramming) but we managed to pop one of the frigates. 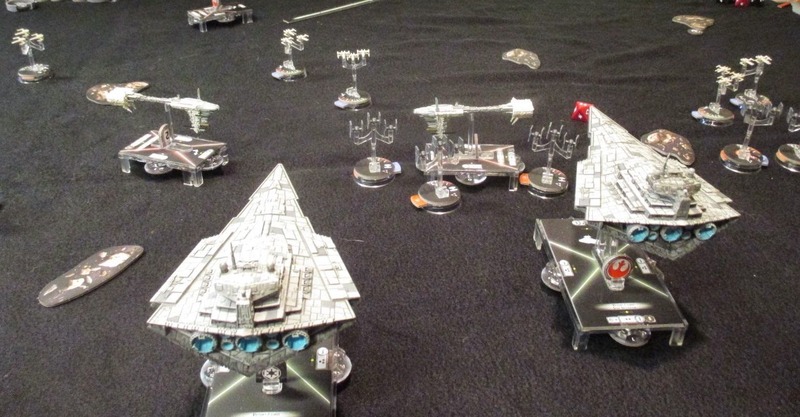 And then the second frigate ended up in a spot we might charitable call "a good place to shoot from" and got double-teamed with predictable results. 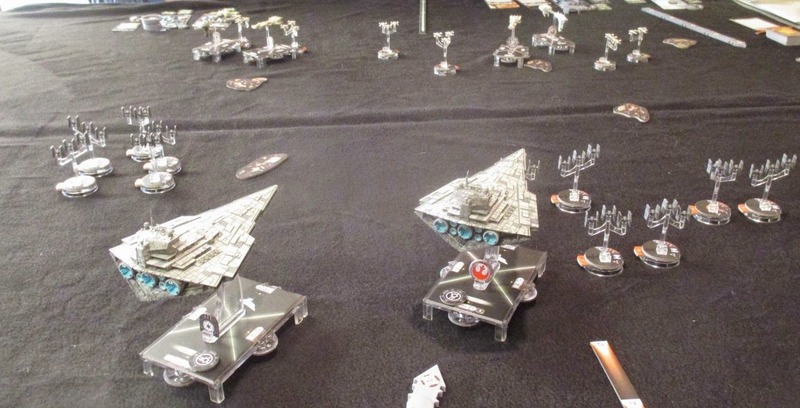 We also managed to get a handle on our fighters and kept the X-wings off the capital ships. Unfortunately for the Empire, my ship was so damaged that an attack run by a corvette destroyed it! We called the game at that point with an expectation that Grand Moff Wiley could clean up the remainder of the rebels. Overall a fun game. Not sure I want to drop this kind of coin, though. But damned happy that Dan did!